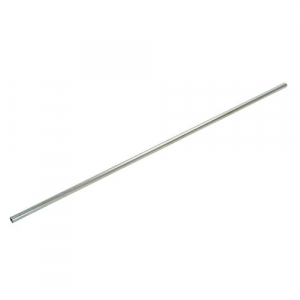 1" Diameter Steel Tubes for the Quick & Easy Rack System. Great for vehicles with suitable rain gutters. 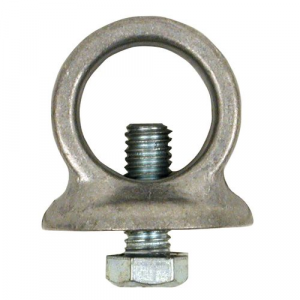 These end caps fit over Quick-N-Easy Cross bars and have an inner diameter of 1". Sold as Each. 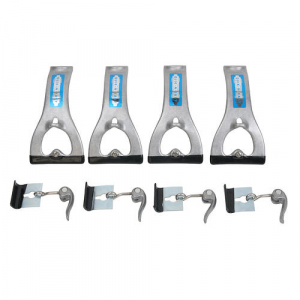 Use the Cam Lever and Clip to attach the Yoke to rain gutters. Replace the part not the whole rack. Not only is the set of racks Quick-N-Easy, but getting spare parts to replace them is too. This is a single yoke replacement. Yoke Height: 7 3/8"
Use the Tube Holder to attach 1" tube cross bars to your Quick-N-Easy Racks. 48", 60", and 78" crossbars and other accessories available; call for details. Warranty: 6 months Note: Yakima bars will not fit through these holders.